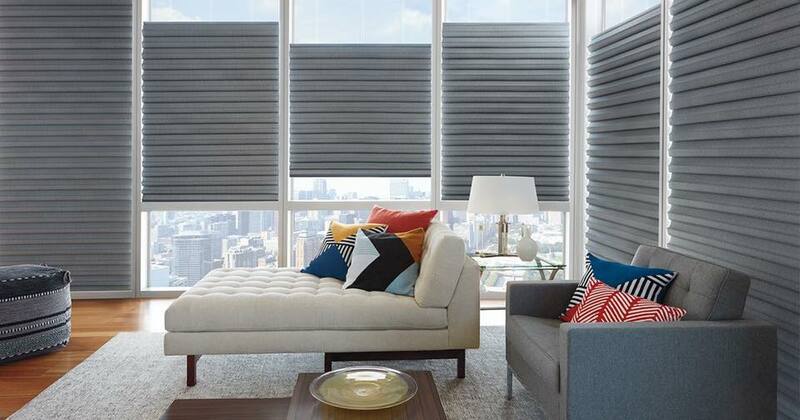 Smartlooks Window & Wall Decor in Richardson, TX is proud to sell Hunter Douglas window shades in our gallery. Hunter Douglas are leaders in the window shade market and offer a wide selection of high-quality products that are sure to spice up any room in your house. Window shades help to diffuse natural light and create calm, soothing environment with adjustments for light control and privacy. They also help to filter out dangerous UV light from the sun. Hunter Douglas shades come in a variety of styles. – Roman shades, with their modern look and soft folds, are a simple yet elegant addition to any room. They’re available in a wide range of colors and fabrics with options to filter more or less light out. – Shutters are a perfect addition to add a rustic look to your home. Available in a variety of styles, including hardwood and durable plastic, shutters also come with a selection of stains and paints. The exceptional craftsmanship will bring beautiful rustic shutters to beautify your home. – Cellular shades utilize a two-layer honeycomb design to help control temperature in addition to providing light control. They help to keep your house warmer in the winter and cooler in the summer. Coming in a massive range of colors and textures, they’re sure to complement any house while keeping your energy bills down. – Clean and contemporary, roller shades compliment any room perfectly. Roller shades come with a wide variety of styles and fabric choices. Roller shades offer different levels of opacity to allow as little or as much light in as wanted, all with an ease and simplicity not offered in other designs. – Woven wood shades give a natural look to any room. Made of beautiful natural woods, reeds and grasses, they allow a sophisticated yet simple look for your home. – Vertical blinds are a great choice for window expanses and sliding glass doors. Vertical blinds are smooth and quiet, and come in hundreds of styles of materials and fabrics of all colors. – Horizontal blinds are a standard in homes, and Hunter Douglas is a leader in providing beautiful blinds with a wide variety of styles. Beautify you home with new Window Treatments in Dallas, Texas!